So following my disappointing Russian Imperial Stout issues in AG 25 I decided that if I was to continue brewing high ABV beers I would need to find a way to improve my pitch-able quantities of the yeast. The answer to this was a magnetic stir plate. 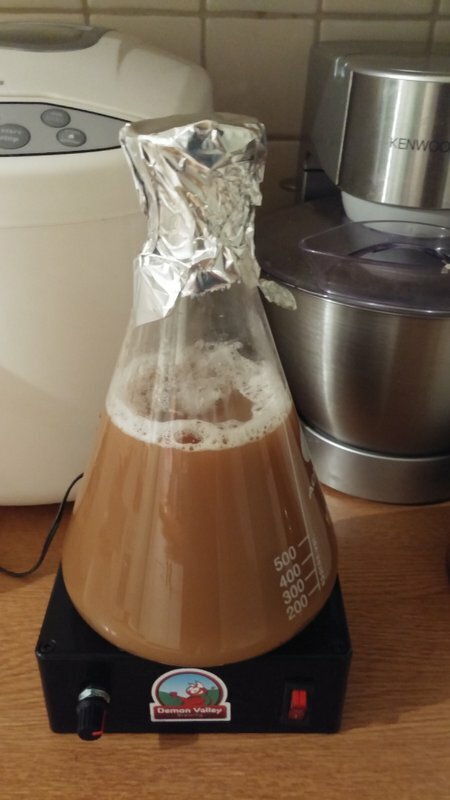 Using a stir plate you can take that packet/vial of yeast and grow into a full 1 litre starter in a solution of wort made from Dry Malt Extract. The significantly higher yeast cell count then gives the yeast a much better chance at establishing a strong home and vigerous fermentation. 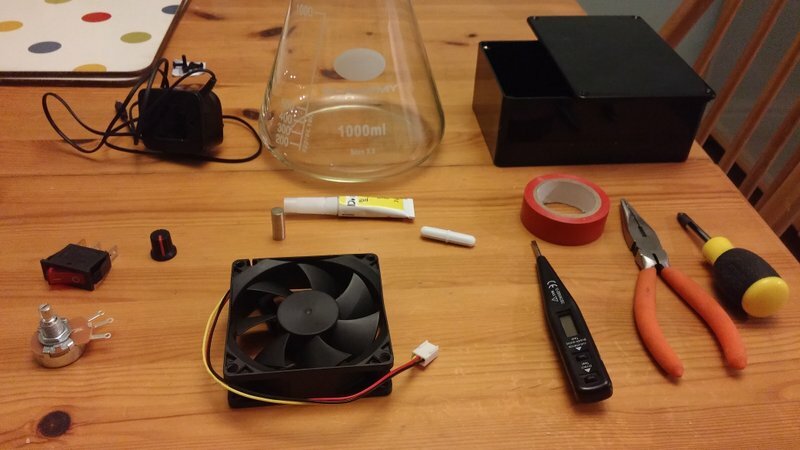 As commercially available stir plate products can be £50-£250 the next DIY project was born! 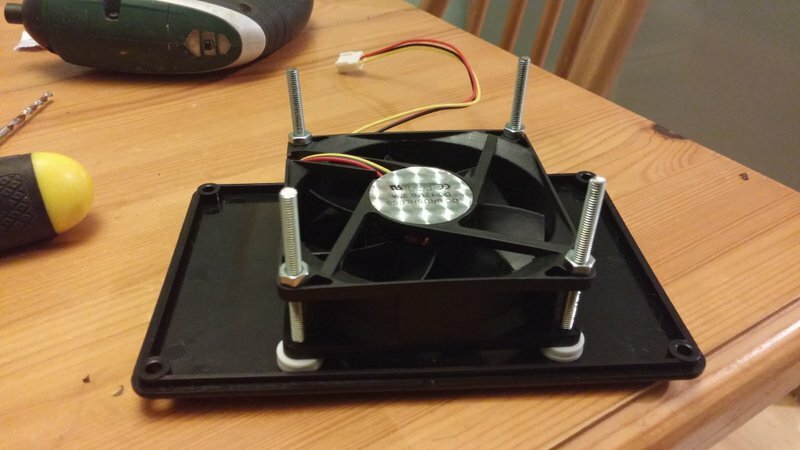 There are a lot of different instructions for building stir plates out on the internet however a lot seemed to rely on parts being already owned or salvageable from old computers you just have laying around?! I’d need to buy everything so my build would reflect that! 2. Glue the magnets to the spinning centre of the computer fan. The two stacks of magnets on the left are opposite to the stacks on the right (i.e. the Left side pulls while the Right pushes). Depending on the strength of your magnets you may need more than 1 in a stack, I ended up with 5 on each in my build. 3. 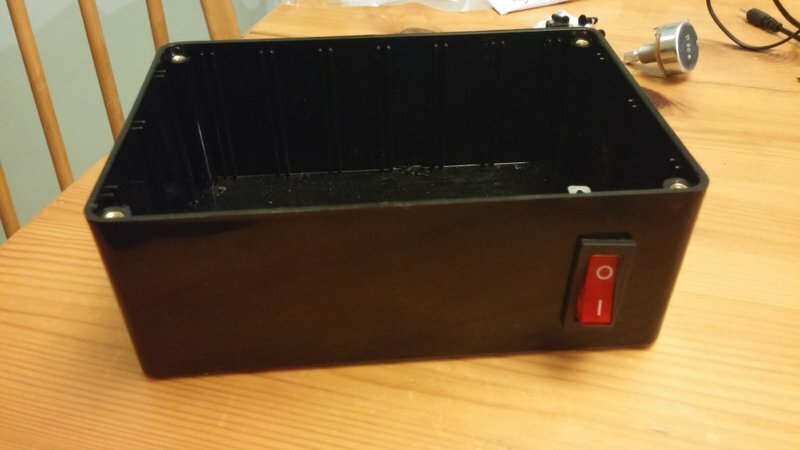 Mount the fan to the lid of the project box with the machine screws and bolts. You may need some washers to give enough space for the magnet stacks to rotate without rubbing the lid of the box and I had to trim a couple of mm from each screw to fit them snugly in the box with the lid on. 4. 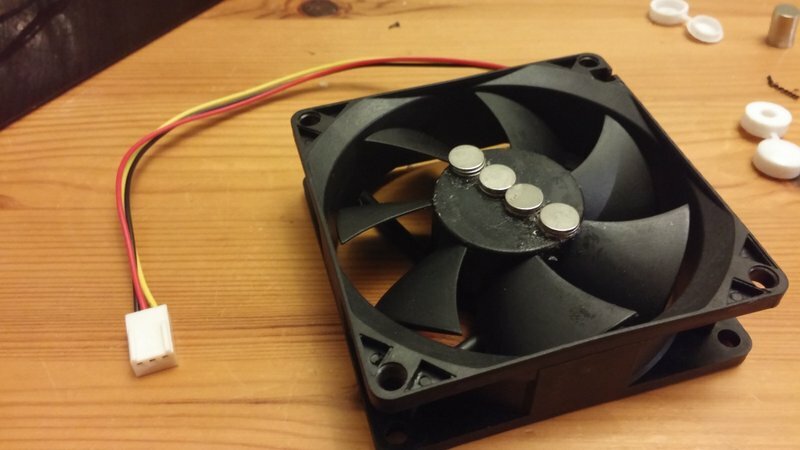 Cut the yellow wire completely off the fan. This is used in computers as a tachometer but we need it as an extra bit of wire! 5. 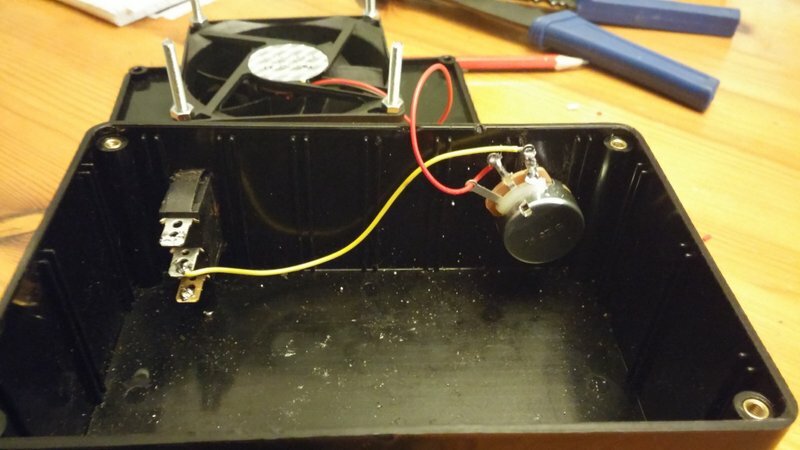 Attach the red wire from the fan to the center pin on the Rheostat. I have looped it through the left pin (when looked at the flat back) to keep the wire tidy but there is no electrical connection there. Then attached the yellow wire to the right pin on the Rheostat and the middle pin on the rocker switch. 6. Snip the adapter off the power supply and strip back the cover to reveal the two wires inside. In this case they are both black (useful) though one is printed on the sheath to show it’s the live and the other the earth! 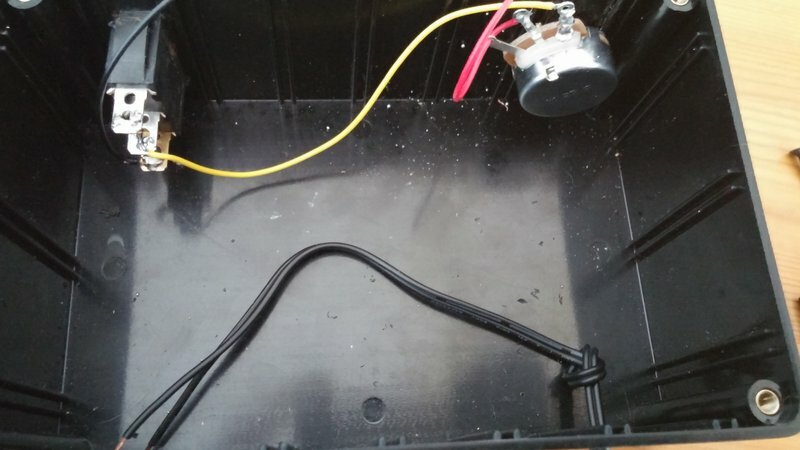 Tie a knot in the cable on the inside of the box to protect it if the cable gets pulled too hard. 7. 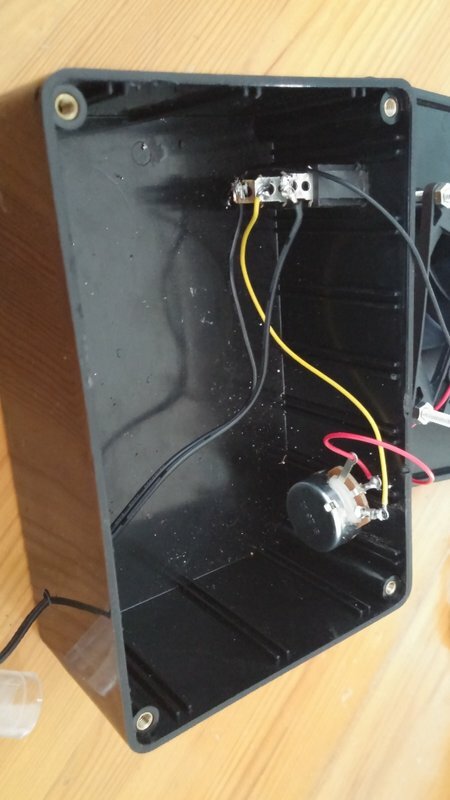 Attach the live wire from the power supply to the top pin on the rocker switch and then BOTH the black wire from the fan AND the earth from the power supply to the bottom pin on the rocker switch. 8. Assemble the box making sure the wires inside are nicely tucked away from the spinning fan! 9. 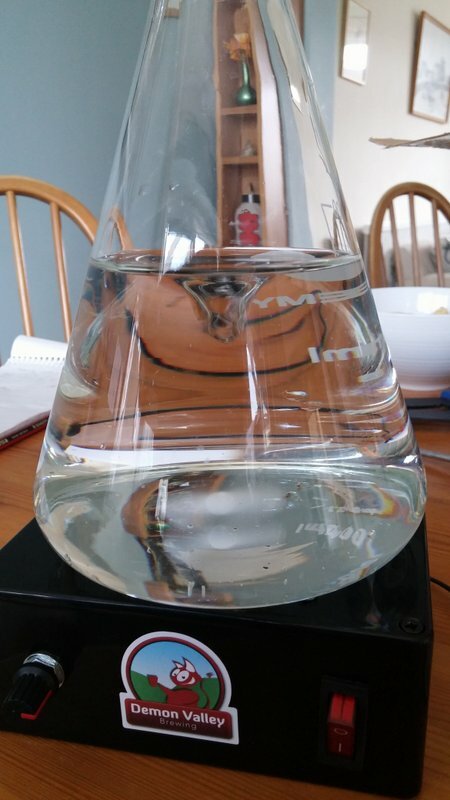 Fill your Erlenmeyer flask with water and drop in the magnetic stir bar. 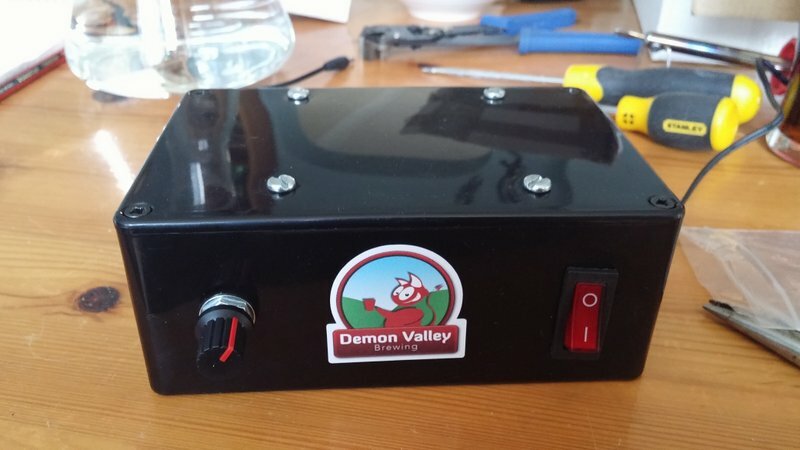 You’ll need to move the flask over the center of the box to catch the magnets and settle the bar. Then plug it in, pray, and give it a spin! You don’t need a full on Twister in the flask, the idea is just to rotate the liquid to keep the yeast in suspension near all that food! Too much power and the spinning magnets will throw the stir bar off to the side of the flask and it won’t work. I am not a qualified electrician! In fact this is the first time since high school that I have used a soldering iron in anger so please take extreme care if you chose to follow these instructions. Remember beer/water and electricity don’t mix!